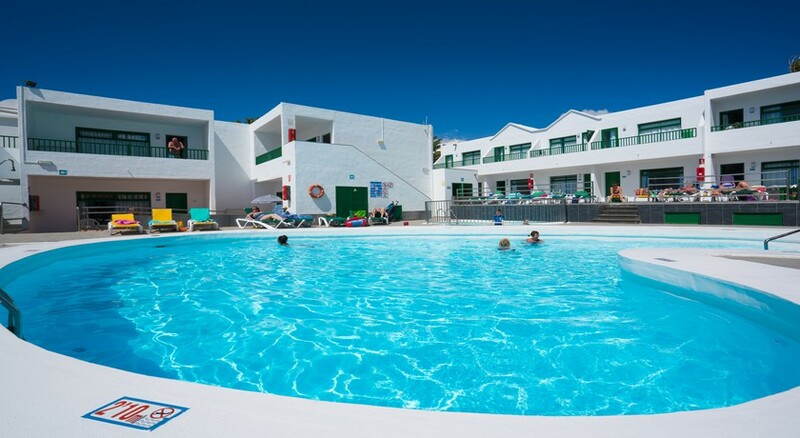 Elena Apartments is located in the town of Puerto del Carmen, Lanzarote, and it’s an excellent base for those wanting everything close at hand. The nearest beach is just 40m away, so you can reach it comfortably in less than 5 minutes. 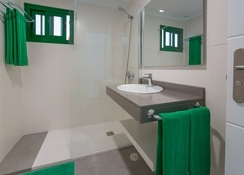 In particular, this accommodation offers studios for two people, one bedroom apartments for three and two bedrooms for five. 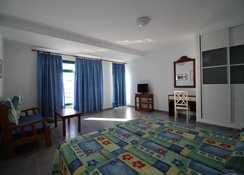 All rooms have a modern and very functional decor and a kitchen with an oven and a fridge; as well as a living room with a flat-screen TV and access to satellite channels and a private bathroom with a shower or a bathtub. Elena Apartments offer a huge outdoor pool, next to which are inviting sun beds and hammocks and a bar serving drinks and light snacks. If you wish to explore the surrounding area though, there are plenty of shops, restaurants and bars a short stroll from the resort. 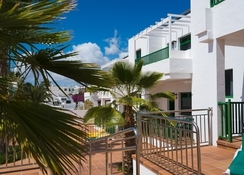 Elena Apartments are located in the town of Puerto del Carmen and only 40m from the beach of the same name, one of the most beautiful in Lanzarote. For its part, Arrecife is 15 minutes away by car, while the island's airport is 7.6km away. The Fire Mountains are 12km away and the Timanfaya National Park is 22km away - both make fantastic day trips if you want to top up your history and culture. 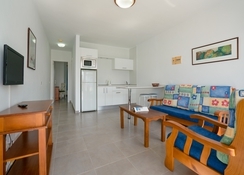 Elena Apartments has a total of 97 apartments, in addition to an entrance hall and a reception available for its guests. Choose between studios with two single beds capable of accommodating two people, or, one and two bedroom apartments with capacity for four or five guests, depending on how many you’re travelling with. 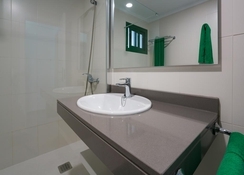 Each of the apartments have a kitchen equipped with an oven and a refrigerator, as well as a bathroom and a living room, complete with a flat screen TV. Some of the rooms feature a terrace, also. Since the hotel provides accommodation that’s fully equipped with a kitchenette, guests usually take to self-catering. The hotel does not host a restaurant, but it does have a pool bar serving snacks and beverages throughout the day. Take a refreshing dip at the outdoor swimming pool or relax on the sun terrace. During the day, head out to the beach of Puerto del Carmen, where you can swim in the blue waters of the Atlantic, take part in watersports and enjoy a wide selection of food and drinks. Guests can also visit the Lanzarote Golf resort for a day of golf. Guests can also visit Los Hervideros, a volcanic coastal area, with caves, hollows and black walls where the sea bursts with force and moulds natural structures.